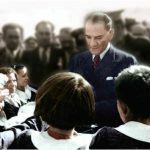 Mustafa Kemal Atatürk laid the foundation for a truly modern Turkey, beginning in 1923. He was a great supporter of women’s rights and the education of girls and women. Under Atatürk’s leadership, the legal position of women and their place in society improved significantly, as women gained the right to vote and to inherit property, and polygamy was abolished. One of Atatürk’s most famous and enduring statements is “Peace at home and peace on earth.” Atatürk’s ideas and the reforms he envisioned and implemented were presented and discussed by Mehmet Yanılmaz, PhD; Hande Özdinler, PhD; Kimberly Abbett, PhD; Erol Yorulmazoğlu, MD; and Ayhan Lash, PhD. We had a rare opportunity to learn about the outstanding work of three accomplished Turkish women of science, Dr. Hayat Önyüksel, professor of Pharmaceutics and Bioengineering at the University of Illinois at Chicago; Dr. Hande Özdinler, assistant professor of Neurology and founding director of the Les Turner ALS Laboratory II at Northwestern University, Feinberg School of Medicine; and Dr. Handan Acar, postdoctoral researcher in the Institute for Molecular Engineering at the University of Chicago. Dr. Önyüksel’s research is in the area of targeted drug delivery. She uses lipid-based nano carriers to develop nanomedicines with improved drug solubility, stability, and safety. 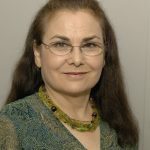 Dr. Özdinler’s research allows visualization and cellular analysis of corticospinal motor neurons, the neurons that are responsible for the initiation and modulation of motor function in our bodies. 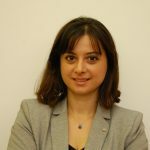 Dr. Acar’s main focus is designing and developing peptide-based therapeutic and diagnostic agents for cancer treatment using programmable self-assembling peptide engineering. in support of women’s university education in Turkey. More than two dozen donors were honored. We well understand that not everyone can contribute $500. On the contrary, we very much appreciate all contributions, however large or small. TAWSF’s work would have been impossible without all of the contributions our supporters have made over the years, regardless of the amount. This event took place at the Turkish Consulate. TAWSF is grateful for the support of the Honorable Ramis Şen, Consul General of Turkey in Chicago (pictured with several TAWSF Board members). We had a rare opportunity to hear what is going on in Tunisia. Tunisia has been described as “the last, best hope for the Arab Spring.” Joe Yackley, PhD, on assignment in Tunisia, reviewed events since the 2011 Jasmine Revolution and discussed what makes Tunisia unique. Dr. Yackley received a PhD in Ottoman History and Economics at the University of Chicago. 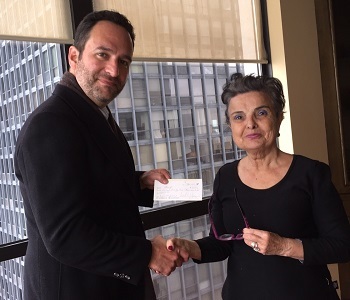 The Honorable Onur Sayın was Deputy Consul General of Turkey in Chicago starting in 2010. 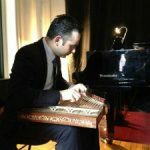 An accomplished kanun player since his early teens, he has performed for non-profit organizations throughout the Chicago area. This beautiful concert took place at the Turkish Consulate. 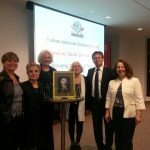 TAWSF is grateful for the support of the Honorable Fatih Yıldız, Consul General of Turkey in Chicago. The Turkish film “Ecotopia” was shown Sept 7, 2013, at the Gene Siskel Film Center. “Ecotopia” was the first (and funniest) of the four movies shown during Chicago’s second annual Turkish Film Series. The film, written and directed by Yüksel Aksu, was awarded Best Film, Best Director, Best Screenplay, and Best New Actress (Ayşe Bosse) at the 2012 Ankara International Film Festival. Supporters of TAWSF attended a pre-show reception hosted by TAWSF and then viewed the film. 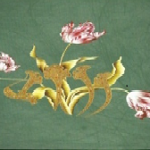 Michael Milgrim, PhD (University of Pennsylvania), discussed this captivating Ottoman period and its treasures. 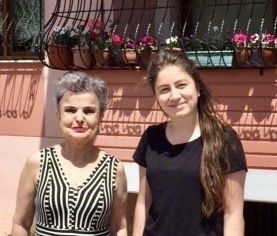 While living in Turkey between 1970 and 1974, Dr. Milgrim conducted research on Ottoman-Russian Relations 1877-78 and the War Indemnity Problem at the Ottoman Archives in Istanbul. He was an assistant professor at the former Pahlavi University in Iran from 1974 to 1979. He speaks Turkish and Persian. Professor K. Aslıhan Yener, PhD, presented a fascinating program about her archaeological work in the Amuq Valley. Professor Yener is an award-winning scientist and the author of several books and many publications. She is a full professor at Koç University, Dept. of Archaeology and History of Art, and also teaches part time at the Oriental Institute of the University of Chicago. 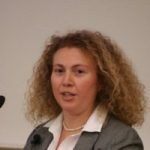 The Director of Alalakh Excavations, Dr. Yener has devoted her life to educating and nurturing PhD candidates in the field of Anatolian archaeology. Dr. Yener is pictured here (center) with the Honorable Fatih Yıldız, Consul General of Turkey in Chicago, and several TAWSF Board members and supporters. Presented by Joseph Yackley. 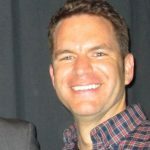 Joe Yackley is a Senior Editor with the Oxford Business Group and a PhD candidate in the Department of Near Eastern Languages and Civilizations at the University of Chicago. In a decade of resident consultancy, research, and journalism in Europe and the Middle East, Joe has written for a variety of newspapers, magazines, and wire services in English, Turkish, and German. He returned last year from six months each in Egypt and Turkey as a Fulbright Scholar. Joe has also held fellowships from the Robert Bosch Foundation, the State Department, and the International Center for Journalists. He teaches a course at the University of Chicago on Political Economy of the Middle East and is a co-author of Risk Rules: How Local Politics Threaten the Global Economy (Agate, 2011). Copies of the book were available for purchase at the end of the program. The Turkish American Cultural Alliance (TACA), Old Town School of Folk Music, and Turkish American Women’s Scholarship Fund (TAWSF) proudly presented a benefit concert featuring Turkish classical and folk music performed by the TACA Turkish Classical Music Choir and Music Ensemble with Lamajamal and guest clarinetist Jim Stoynoff. Raffle prizes included a free Turkish Airlines ticket to Turkey. The TACA Turkish Clas sical Music Choir was founded in 2007 to preserve and promote Turkish culture through the universal language of music. The group has performed in many venues throughout Chicago and the Midwest, including the Chicago Turkish Festival. Turkish culture is unique in the world in that it has influenced and been influenced in return by cultures and civilizations from China to Vienna and from the Russian steppes to North Africa for over a millennium. 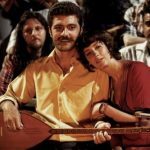 Turkish music, with its variety of instruments and broad musical repertoire, reflects this unparalleled cultural richness and diversity, and remains mostly shaped by its roots in the Middle East, Anatolia and the Balkans, the cradle of many civilizations for at least twelve thousand years. 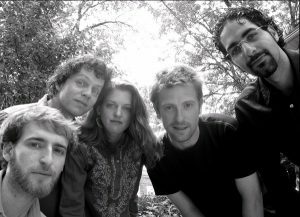 Lamajamal (www.lamajamal.com), formed in 2004 by five creative musicians, takes the music of our global ancestors and turns it inside out, creating something fresh and innovative, yet true to its roots. Their sound is a unique blend of Balkan, Roma, Arabic, and North African dance music. Their exciting live performances feature Middle Eastern vocals, serpentine clarinet melodies, exotic instruments, and infectious dance beats. The band has performed at various local venues including Chicago World Music Fest, Chicago Turkish Festival, Milwaukee’s Global Union Fest, Chicago Arabesque Festival, Chicago Cultural Center, as well as the CBS morning news. The amazingly talented Macedonian-American clarinetist Jim Stoynoff is a native Chicagoan who began studying the clarinet in 1962. He specialized in the research, preservation and performance of Greek folk music, with particular emphasis on the regional folk clarinet styles of Epiros, Macedonia, Central Greece, and Turkey. Since 1965 Jim has performed regularly at major functions within the Greek and Turkish communities, performed with the Chicago Immigrant Orchestra, appeared with various groups throughout the US, performed annually at events sponsored by the Chicago Cultural Center, and made appearances with the Chicago Symphony Orchestra for the opening of the Chicago World Music Festival as well as Yoyo Ma’s Silk Road residency. 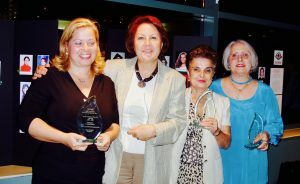 Founding members Leyla Harfoush and Belma Selçukoğlu; President and founding member Ayhan Lash; and Student Affairs Chair Semra Prescott, who has been involved with TAWSF from the beginning, are among those who have dedicated many years to promoting the education of women in Turkey.